Tennessee Flagdesign features three stars that represent the three Grand Divisions of the state, East Tennessee, Middle Tennessee, and West Tennessee. The blue circle around the stars represents the unity of the "Grand Divisions" of the state while the blue bar at the edge is to even off the red color of the flag and just a design consideration. 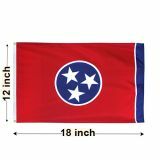 Highlight your state pride and culture with our Tennessee Flags that are 100% made in USA. 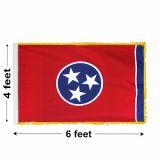 These commercial grade flags from Tuff Flags carry 6 months guarantee on construction.Shop from our complete line of Tennessee Flags right away and avail the best prices, quick shipping and much more! 100% customer satisfaction guaranteed! Tuff Flags has Tennessee Flags in all standard sizes including3’x5’,4’x6’,5’x8’,6’x10’and 8’x12’. 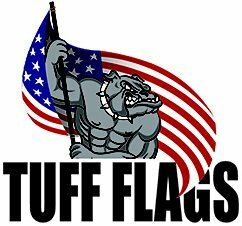 Made available in two different fabric choices of 200 Deneir nylon and polyester, our flags feature colorfast Dupont inks to retain the brilliance for a long time. 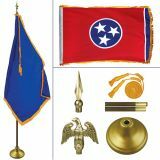 Made to precision and beauty, our flags that are finished with heading and grommets look great as display items, gifts or keepsakes. Hung it over the walls or fly it in your garden or set up an indoor flag display, these flags will never fail to impress the audience and to highlight the Tennessee pride. 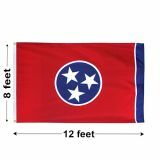 Browse our complete line of Tennessee Flags offered at the bestrates. 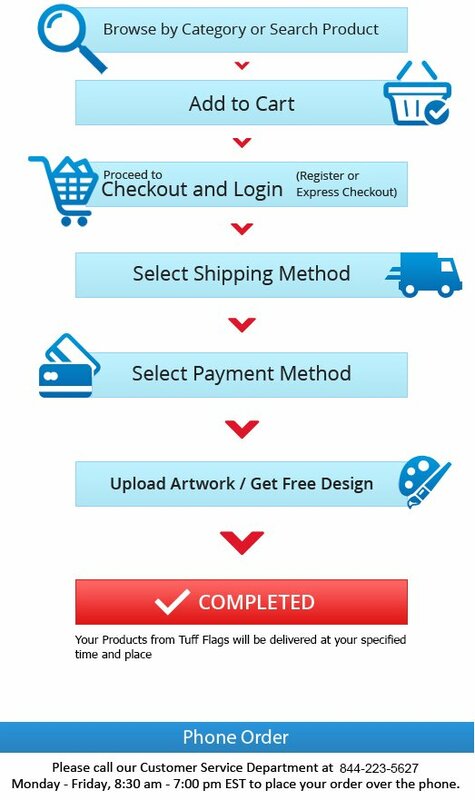 Should you need any assistance,feel free to call our toll free number (888) 287-3524 or email at customercare@tuffflags.com.